Just as the harmonious tones of buzzing bumblebees are becoming less audible, the soothing incandescent rays of Scottish light summer evenings are starting to draw to a close. The kaleidoscope colours of fresh flowers in full bloom are undergoing inevitable transformations. The air is ultra crisp. 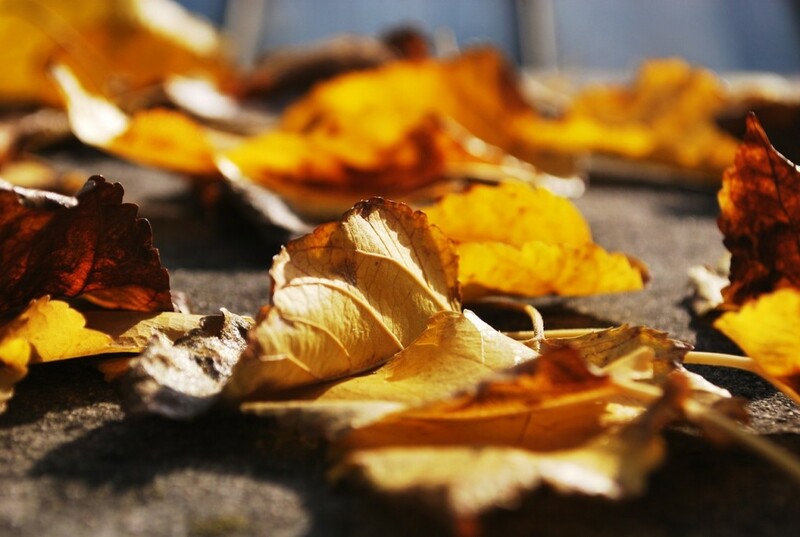 Finally, the leaves are set on shedding from deciduous trees. Autumn is upon us. 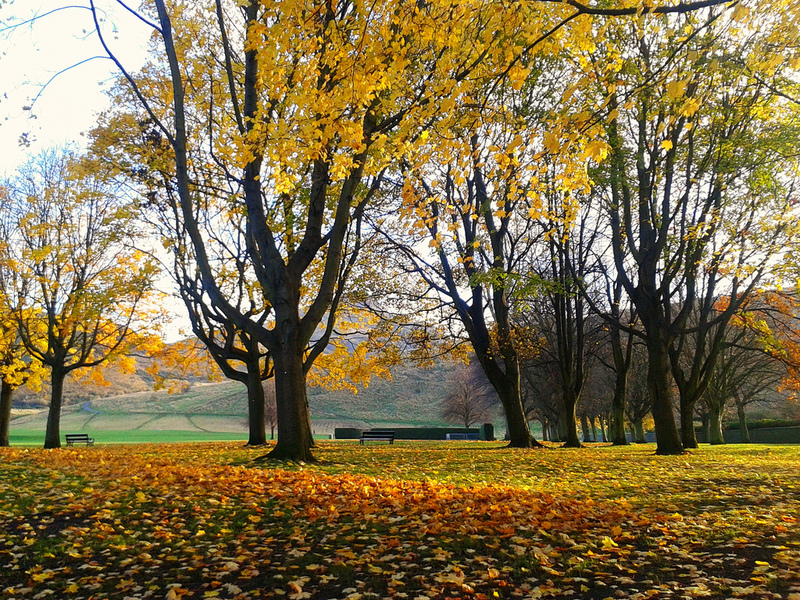 Enjoy the beautiful shades of this fabulous season and explore the best parks in Edinburgh to watch the leaves turn. Princes Street Gardens, a public park right in the centre of Edinburgh, is available to one and all. This popular space was created in two phases in the 1770s and 1820s, and was once a body of water called the Nor Loch. Today, these gardens, which are split into the West and East Gardens, are populated with hoards of happy people strolling, staring, pontificating, and exploring. Sit on the grass in the shadow of the Castle (if even for a second) and delight in watching the wise old trees prepare for the cooler days as the leaves begin to drop. 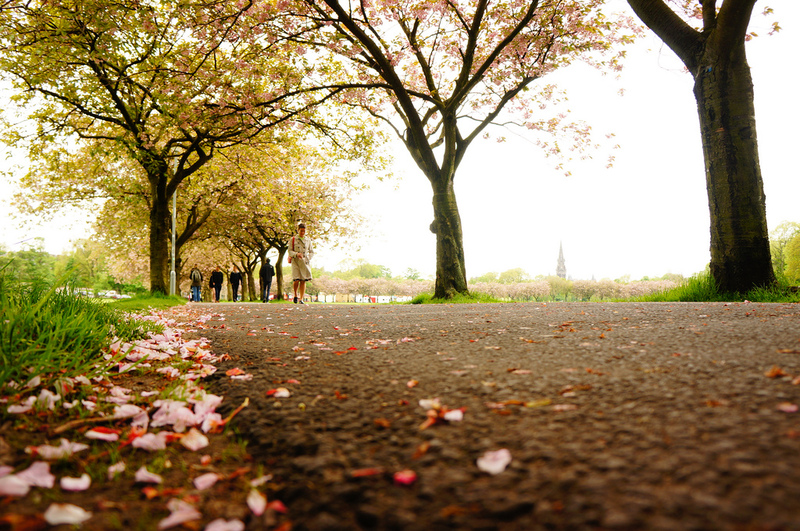 Visit the Meadows on any day of the year come rain or shine and notice the buzzing atmosphere that surrounds. People can be seen crisscrossing in all directions. The vast grassland is decorated with quaint paths marked by armies of trees standing tall and leading the way. Notice the magnificent mature elms — most of them are Huntingdon and wych elms. However, near the Chambers Street entrance, a majestic Japanese Elm with leaves of vibrant green or rusty red (depending on the season) graces the park. These trees are constant spectators of the students who lounge, the bikers who cycle, and the canines that stroll here. In good old Scottish style, this park once hosted a loch too. Now, this is a main spot for commuters eager to reach various destinations in town. Standing inconspicuously near the historic Royal Mile area is a little piece of heaven known as Dunbar’s Close Gardens. If a moment of self-reflection or some serious soul searching is on the cards, then this is the place to retreat to and do exactly that. Watch as the various shades of jade and hunter green suddenly begin to turn into their autumnal counterparts. Listen closely to the birds tweeting and the faint pitter-patter of trees shedding leaves. This charming spot is perfectly peaceful and is presented in the style of a 17th-century garden. Manicured bushes stand proudly amidst the shady trees. Try and triangulate your visit for when the fruit trees are in full bloom. 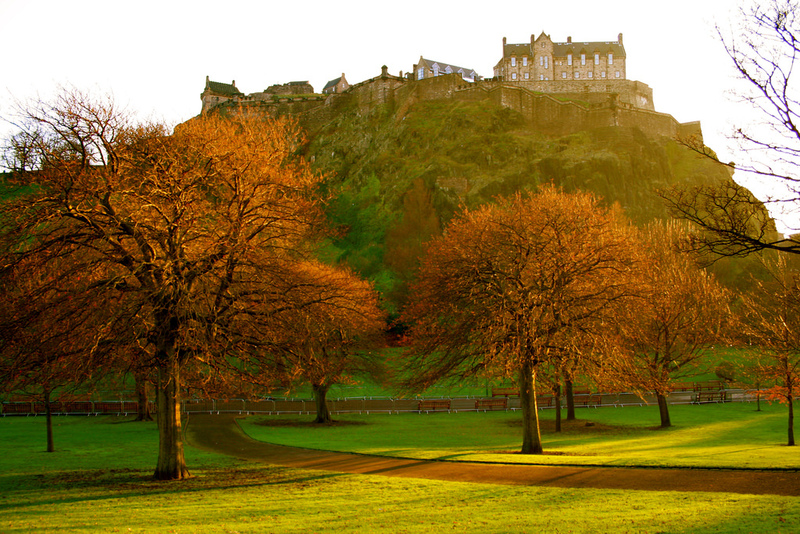 Since around the 12th century, Holyrood Park has been Edinburgh’s very own regal roaming spot. A five-mile radius of undulating land, grassy slopes, and intriguing historical sights, this is a place that demands appreciation. Gaze at the greenery as it withstands the gusty winds and harsher climates common to the cooler months. See a panoramic view of Edinburgh from the top of Arthur’s Seat and spot the seasonal colours of the city from an awe-inspiring perspective. Capture that perfect image of the swans that dwell on the tumultuous murky waters of St Margaret’s Loch, a body of water formed in 1856. The Royal Botanic Gardens are a sanctuary of sheer joy. A horticulturalist’s dreamland, there is no other place in Edinburgh with such a diverse tribe of trees. 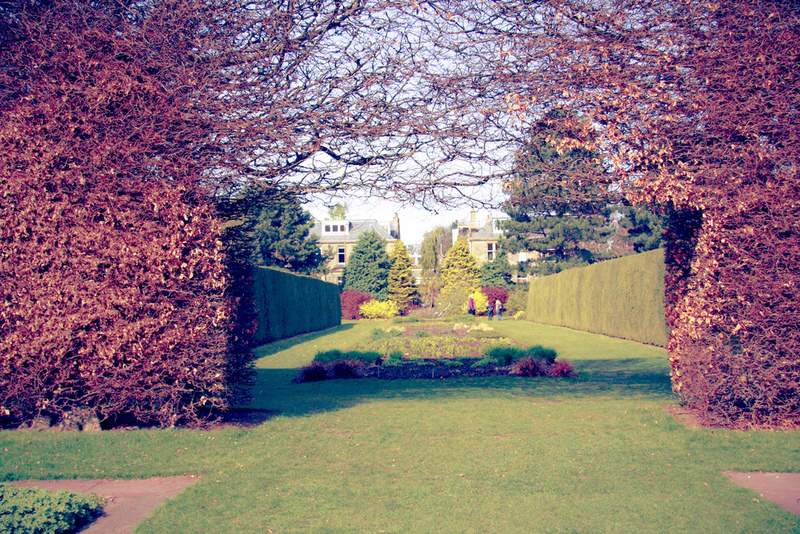 Hopscotch over the layers of fallen leaves as you meander through the glorious maze of greenery. Experience the wonderful world of nature and witness the wildlife and plant species that co-exist in perfect harmony. When times become chillier, seek solace inside the excellent restaurant or greenhouses. Bookworms can congregate here and read away in the most stunning of settings. Head over to the Braid Hills and Blackford Hill and delight in the exquisite sights at Hermitage Of Braid. This impressive area consists of a 60.3-hectare nature reserve. Prepare to be enthralled with the wondrous diverse habitats. Layers of woodland have encompassed this spot for at least 300 years. 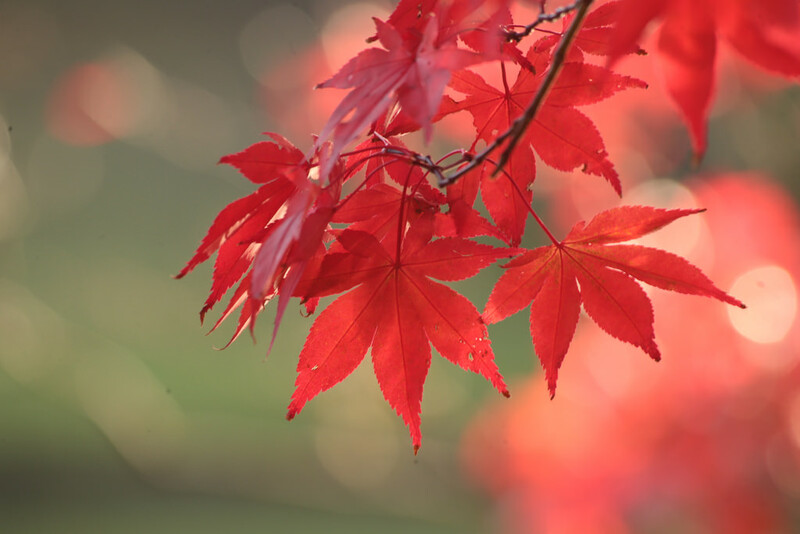 Channel your inner nature guru and spot the lot, from beech trees to sycamore and ash. Witnessing the brilliance of the gargantuan older trees makes you ponder how many rings are inside, and what sights they have seen. From touring Hermitage House to delighting in the Doocot and embarking on an arduous walk, consider this a seasonal sensation.